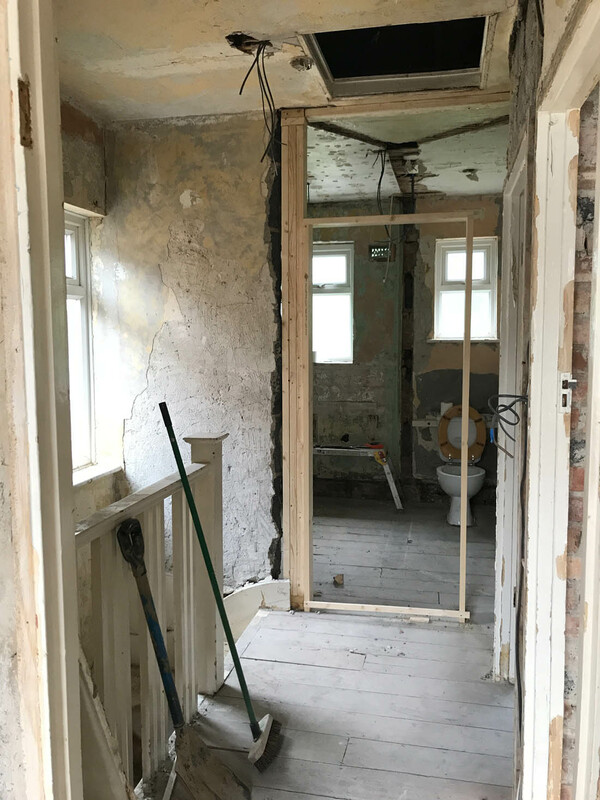 We excitedly rushed down to the new house yesterday morning to see the progress that has been made this week as our contractor started on Monday (you can see how it looked before we bought it here and since we stripped out the plaster here). We plan to visit every Saturday to see how the project is coming along, check that we are keeping up to date with the building schedule (ten weeks and counting) and that we are happy with the work that has been done before we pay the weekly invoice. We then meet our contractor every Monday morning on site to run through how the last week has gone and what decisions need to be made. 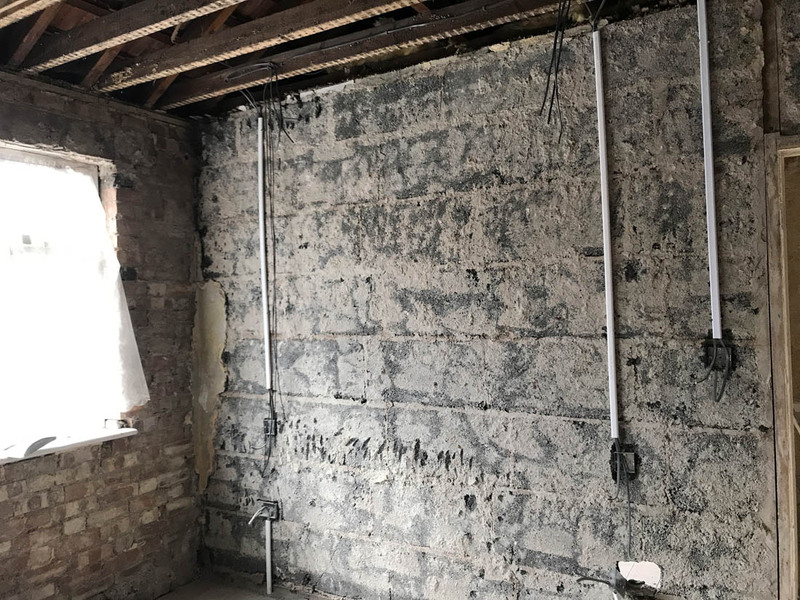 You can always see the most drastic change at the start of a project like this as it takes no time to knock down walls and the like. During week one the remaining plaster, coving, skirting and architraves have been removed, the wall between the loo and bathroom has been knocked out, the fireplaces removed, half of the kitchen has been stripped out ready for the wall to be knocked down next week and the loft completely stripped out as there were three redundant water tanks up there. The other major job that has been done is the re-wiring. This is one of those jobs that we had to plan really carefully as it will influence the design and decor a huge amount. For example, deciding where pendant lights go dictates where the dining table will be placed and wall lights in the alcoves downstairs dictate whether or not shelves go in them etc. Also, I would like pendants hanging either side of our bed over bedside tables ( I have chosen these new Anglepoise ceramic pendants) so I have had to decide where the bed will go before being able to see it in the room. 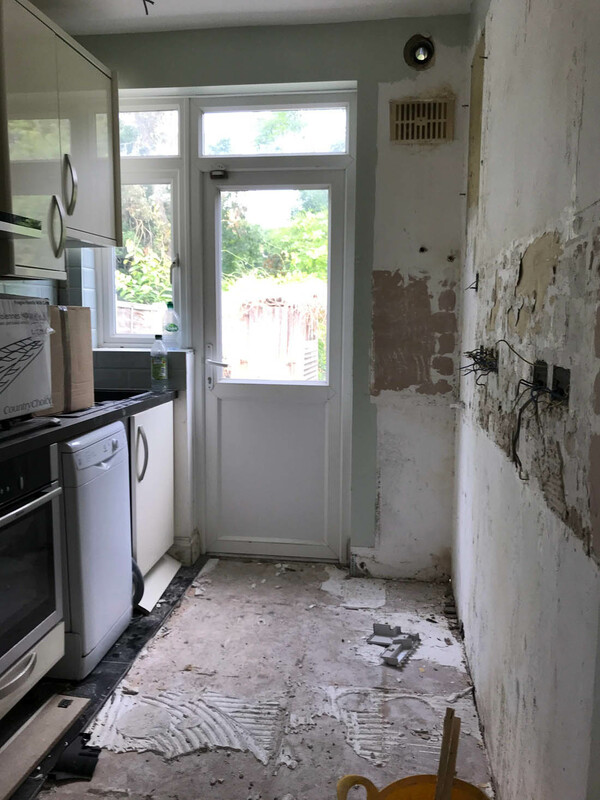 The small kitchen will have the right hand wall knocked down next week so the cupboards and work top have been removed as has the tiled floor as I would like to extend the floor boards into this space. I have some DIY plans to make the left hand side of the kitchen more ‘me’ and then we will have a temporary kitchen island where the wall was until we have saved enough to do an extension out into the garden, which will house a new kitchen. 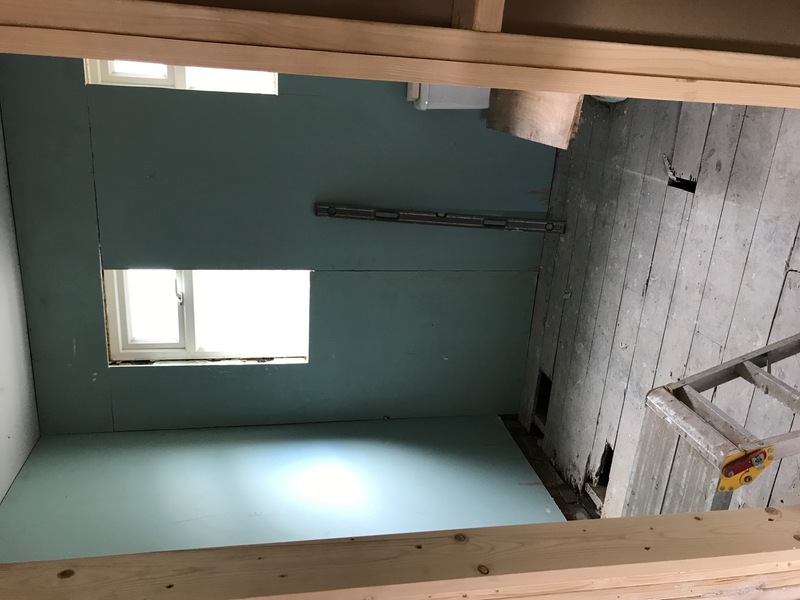 The two doorways into the separate loo and bathroom have gone and a new one is being built, which automatically gives the bathroom far more space. Knocking the wall out between the loo and bathroom has really helped us visualise what this room will be like (I will blog about the details of this room soon). 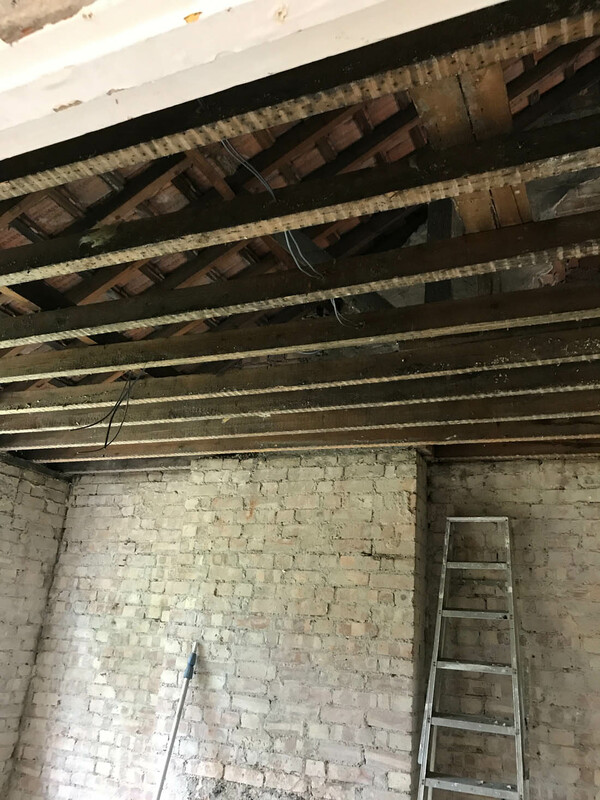 The loft has been stripped of the redundant water tanks that were up there and we will have a loft ladder fitted and Jules will lay some OSP across the floor joists so that we can use the valuable space for storage. After living in flats with zero storage for the last twelve years I am SO excited about this prospect! We had to do a clear plan of the power sockets and lighting for the first week of the build in order to rewire the house. This is actually quite tricky as it’s so hard to know what type of lighting and how much you will need until you have lived somewhere so fingers crossed we have got it right! Also, it directly impacts the layout of your furniture and design decisions. This image shows our bedroom and the bed will go in the middle of this wall with two pendants hanging either side over bedside tables. 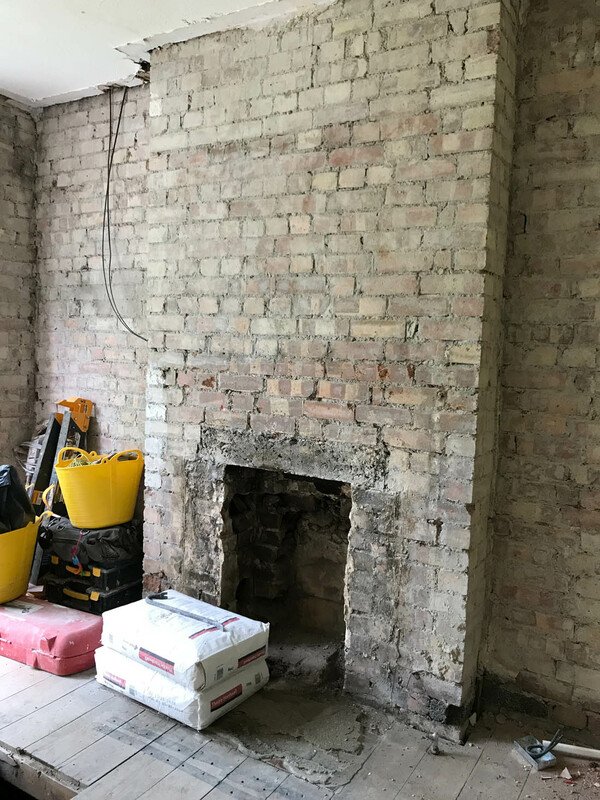 The fireplaces have been knocked out – sorry to anyone who liked the originals!! 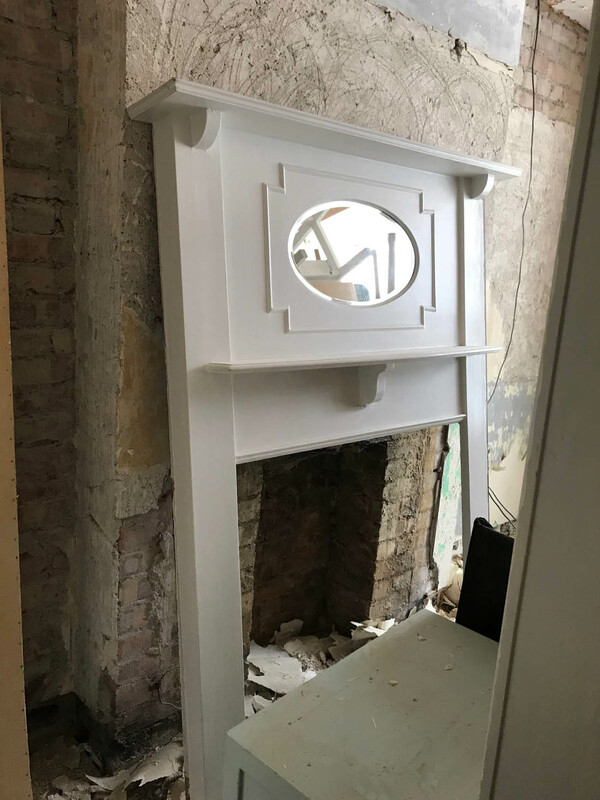 We will plaster over the one in the dining area as we need all the space we can get there and then I have bought two small original cast iron fireplaces to be fitted into the bedrooms (I’ll explain more about this in another post). Love it or hate it?! This is an original fireplace surround that I bought from eBay this week to go in the living area where we plan to have a wood burning stove. We can’t afford to buy the stove or have it fitted yet but I didn’t want to have it plastered over as I knew if that happened we would never get round to doing it. 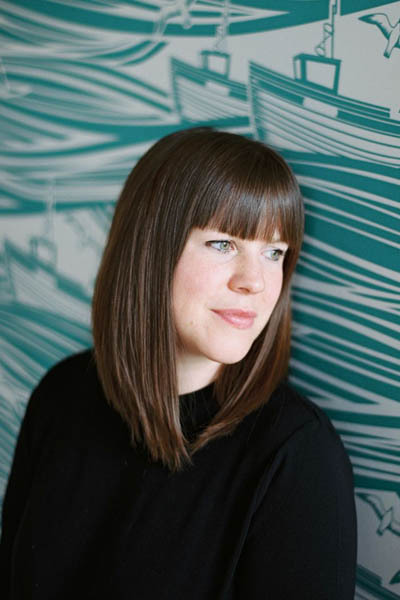 I will post again in a couple of days with an idea of how I visualise the decor for the house – hopefully you won’t get bored of all this renovation chat anytime soon! Previous Post iRobot Roomba 966 vacuum review: does it really work? However; and I am sorry if this throws cold water on you but morally I must go here…. Please please tell me there was an asbestos refurbishment and demolition survey done on the house before it was taken back to brick?! Your house is definitely in the age range where asbestos was commonly used as a building material (especially if it was refurbished at any point during the 50s-80s). Your builder must insist on an intrusive survey being done by a competent surveyor before any work was started. They should also have someone on site with asbestos awareness training and be able to prove that to you as the client with certificates. Asbestos if inhaled can cause terminal cancer; please do not be complacent in any way about it – it causes 5000 deaths a year. It really worries me that no-one talks about this on renovation/home improvement blogs when it is located in millions of homes in the UK. How exciting! We’ve been having major floor discussions at this end.